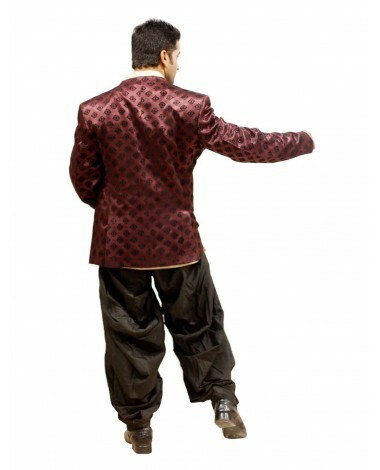 edefining the masculine tone with this jodhpuri suit in jacquard. 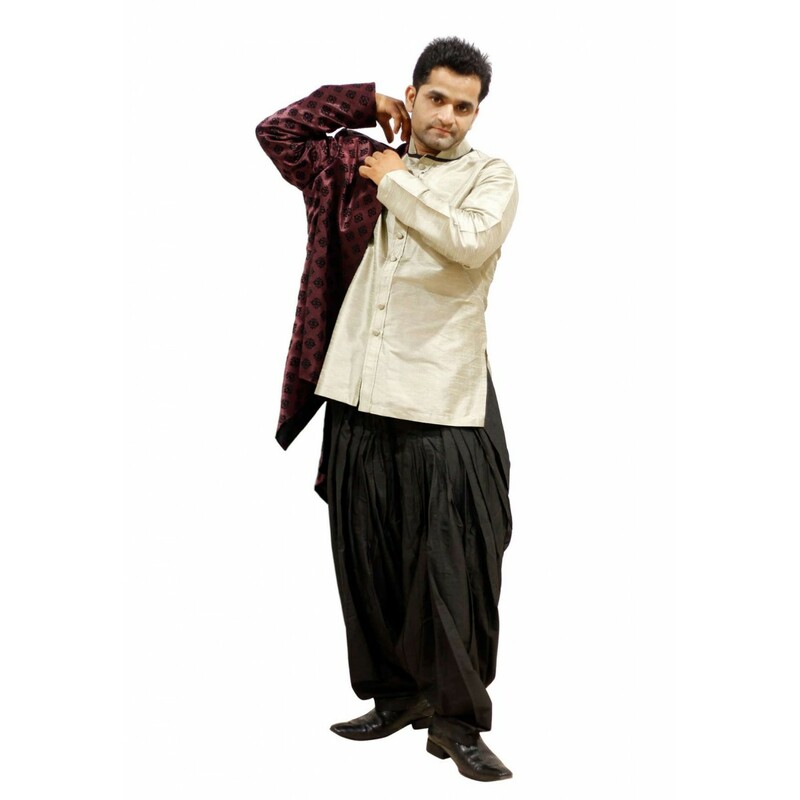 Gets along with satin breeches in black and maroon dual tonewith black patiala salwar. Self designed motifs all over the base, giving it a rich cultural texture. Redefining the masculine tone with this jodhpuri suit in jacquard. 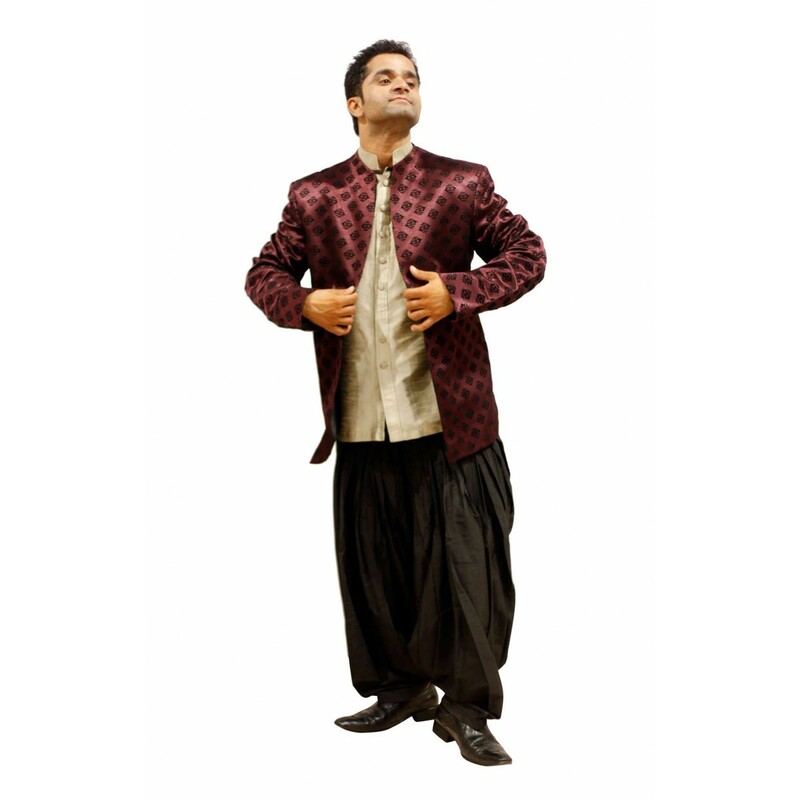 Gets along with satin breeches in black and maroon dual tonewith black patiala salwar. Self designed motifs all over the base, giving it a rich cultural texture. 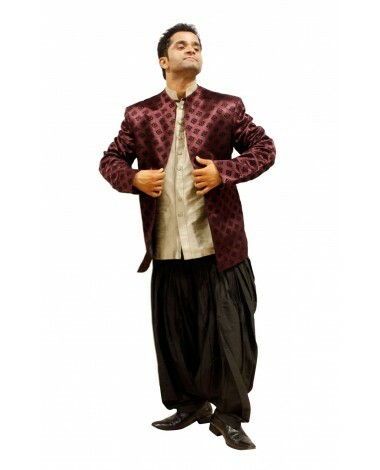 Afford yourself a new expression with this unusual and uncommon outfit.